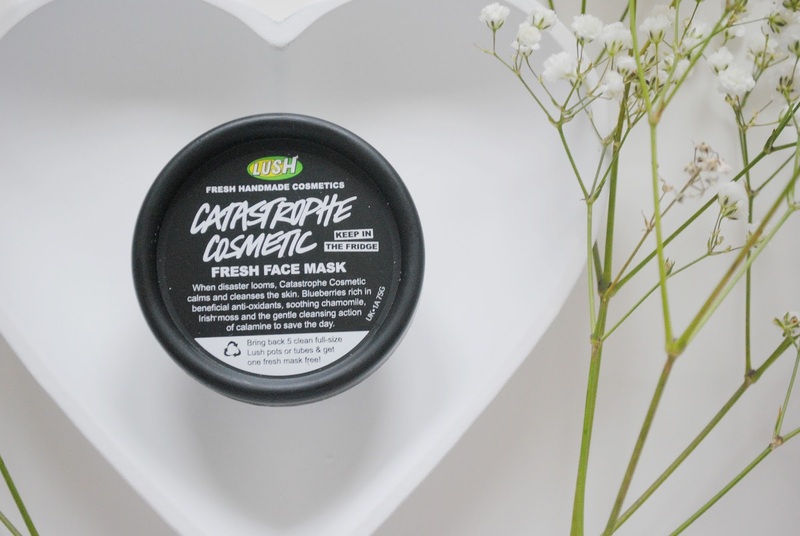 Lush Catastrophe Cosmetic Face Mask | H A Y L V O G E L.
So lets just say my poor little face was in need of some proper TLC this week. I've been having a few break outs and my skin needed to have a breather from the normal everyday make up removing cleanser. I needed something to restore and refresh my skin ready to tackle the colder climate and return my skin back to being as soft as a teddy bear! Is there anything out there that could do everything I had asked? 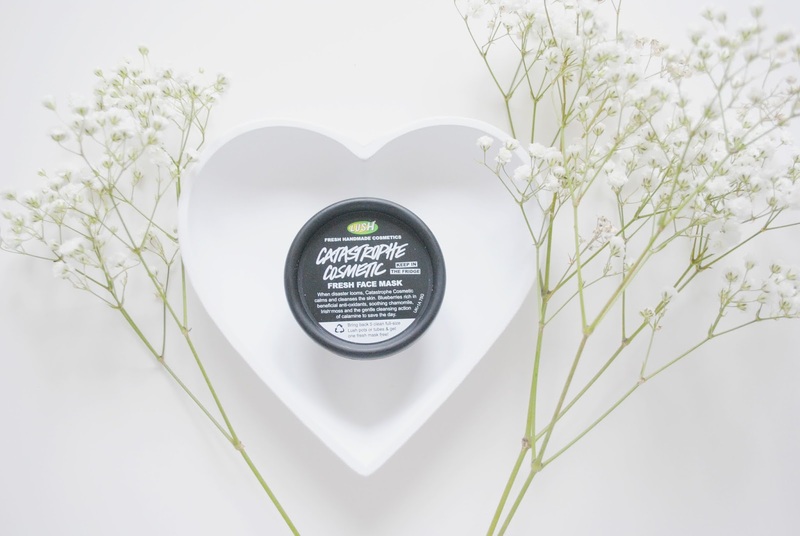 Let me introduce you to this beauty, the Lush Cosmetics Catastrophe Cosmetic face mask. I know a lot of people rave about Lush and all the products they have to offer, but for me Lush isn't a brand I overly think about, and I haven't used a great deal of there products before. However, when out shopping I decided to turn into the store to have a look around at the latest bath bombs and luxurious ranges they had in stock (it always smells amazing in that shop!) I eventually stumbled across the range of face masks - and I'm so glad I did! They have most of the products on show so you can see exactly what you're buying, all the face masks were presented wonderfully with a little black board explaining the effects each one had on your skin. I have very sensitive skin on my face so I'm always very over cautious when it comes to buying anything to do with my face. Catastrophe Cosmetic took my fancy immediately. 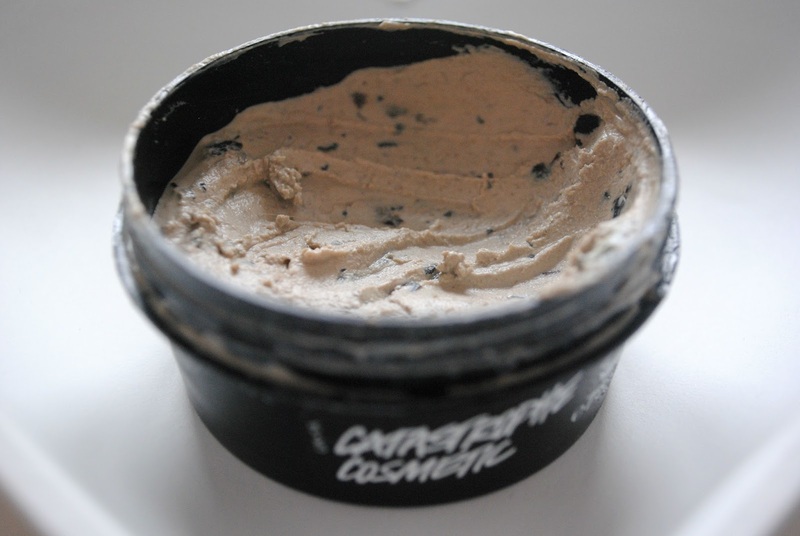 "A calming and moisturising fresh face mask packed with blueberries, calamine and chamomile, rose, and almond oils to soothe and soften the skin. We use wholesome blueberries as they are rich in vitamins and minerals, including the antioxidant vitamins A, C and E that help to protect the skin from damage." Exactly what I wanted to achieve wouldn't you say?! I was so excited to get home and try it, my face was ready to be pampered. It was very cold going onto my face as you've got to keep the face mask in the fridge as it's made from fresh ingredients, but after the initial shock cold its a very soothing feeling. Once it's on your face, you leave it for around 15 minutes.. it turns really hard on your skin and starts to crack - I would recommend you either do this over the sink or in the bath as the mask starts to crumble and fall off your face - so it can make a massive mess if you're not in the bathroom! As soon as the time was up and I started to wash the mask off I saw the difference straight away! My skin was no longer red and my face was SO SO soft. I was very impressed with this face mask and will definitely be purchasing this again - I now understand why so many of you rave about Lush! It didn't react with my sensitive skin either, just left my cheeks feeling wonderfully teddy bear smooth and refreshed. 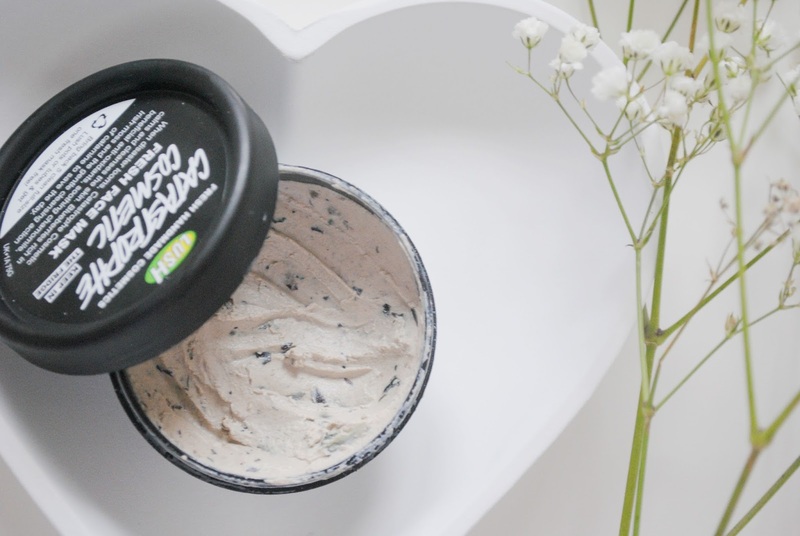 The perfect face mask for refreshed, soft skin - a definite winter routine essential. What's your favourite Lush mask? Or product? I'm obviously missing out on the Lush bandwagon! Sounds lovely. I have recently purchased the face mask 'don't look at me'. I've used it once. My spots are cleared, same for my boyfriend who wanted to give it a go and we no longer have any redness! I was also clueless about face masks from lush! I've only bought bath bombs! I've never really thought of Lush for skin products... I mean, to me Lush = Bath. I might have to go in and have a look too! Especially the 'don't look at me' one, as I have a quite bad breakout at the moment! I've recently become a converted Lushie! This mask sounds amazing, this is the first review I've seen on it. I swear by mask of magnaminty but would love to check this one out next time I'm in store. ps - love your blog, it's stunning! I'm pretty knew to Lush myself,I've been dying to find a fresh mask to try cuz I want my face baby soft, plus who doesn't love to pamper every once in a while, it's like a treat to always look forward to. I haven't tried this one yet- I'll be sure to try this mask next. I've become lush obsessed recently as well- You have to try mask of magnaminty when you have a chance! I love hearing everyone's recommendations! I will definitely give it a go when I'm next in Lush! I've never tried any of the bath bombs, so that's on my list as well! One of my favorite mask! I love your blog post and your blog is so lovely!